This Posh Mommy pendant can be personalized for the special Mom in your life. 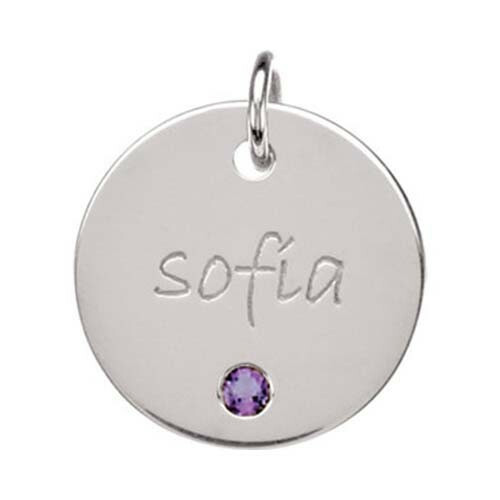 Crafted in sterling silver, it features a circular shape and attractive faux amethyst birthstone. There's space for eight characters of engraving. The pendant offers a stunning way to symbolize one's love of family. Price is for pendant only; chains are sold separately.